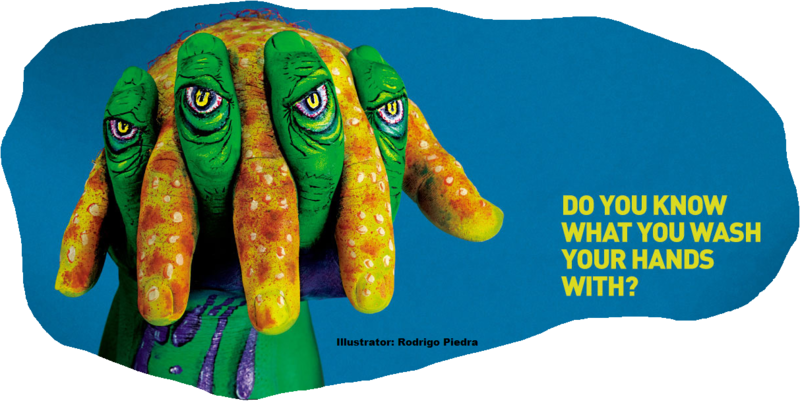 Indeed, bacteria crawling all over the skin can seem horrible. But, that’s how soap and cleaning products have been advertised to the general public over the past four decades. The marketing has been so effective, unfortunately, that now; it’s considered the standard of care. Certainly, having bad bacteria crawling over places where your skin makes contact has been synonymous with public health offices, clinic and school management, and nurses everywhere appealing to wash, Wash, WASH those hands! (Handwashing: Clean Hands Save Lives, 2016; Meers and Yeo, 2009; Ojajärvi, 2009; Turner, Gauthier, Roby, Larson & Gauthier, 1994); Ansari, Sattar, Springthorpe, Wells and Tostowaryk, 1989). But, is having antiseptic or antibacterial additives needed in plain soap to aggressively kill the bacteria? The debate has waged on ever since this new category of soap products launched. And, the arguments have covered the spectrum. On one side have been those who support the claim that having antibacterial chemicals added to plain and simple soap ensures bacteria is…dead. After all, bacterial contamination is the root of contagious spread of disease, right? On the other side are those who support the claim that basic, detergent soap is sufficient to loosen dirt, oils, and foreign bacteria and then dilute them away with water. Additionally, antibacterial additives in soaps produce a negative outcome: they kill off the body’s protective, bacterial line of defense. Unseen by the naked eye, these bacteria are harmless… when they live where they belong. And, if they accidently invade the wrong area (like when you get a cut in your skin) they will begin to inflame and infect just as you would expect of bacteria. But, introduce a foreign bacteria that does not belong on its “turf” and normal flora bacteria will fight to kill it FOR YOU as YOUR OWN ANTIBACTERIAL AGENT! Gram-positive bacteria that are considered normal flora teaming all over the body’s skin. (“Gram” is just a blue dye that these bacteria love to soak up. The stain is “positive” when seen on a microscope slide…and is represented in the attached post image…) They willingly protect and defend against invading bacteria from entering small cracks and the sweat and oil pores in your skin…even your nose! But, underneath the skin, where the blood stream flows, they are uninvited guests and sadly become “bulls in a fine-china shop”! These bacteria wreak havoc causing all sorts of infections from surface skin abscesses to limb-threatening cellulitis to whole-body, life-threatening bacteremia and sepsis. And, if they get in the throat they cause things like strep throat and pneumonia. Then, there are the lowly E. coli (Escherichia coli) that live quite peacefully within the lining of the intestines. They are responsible for important digestion of your food for proper absorption into the bloodstream. 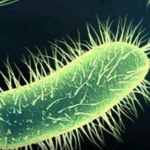 E. coli contaminate food when harvesting, produce, and restaurant handlers do not wash their hands, however, and cause a variety of illnesses when introduced through the mouth into the stomach. Unfortunately, E. coli (and other important intestinal “normal flora”) is killed when you take oral antibiotics. This is why you frequently have diarrhea with antibiotics. Then, you have to eat lots of yogurt or take prescription bacterial supplements to repopulate E. coli in the intestines. In more serious cases, physicians are forced to prescribe stronger antibiotics to kill the foreign bacteria that have taken up residence in the intestines to replace the E. coli! Clearly, the hand-washing debate issue has been whether to kill ALL bacteria that live on the skin… using antibacterial soaps or simply removing the bacteria that should not be there…using plain soap and water. Loss of protective Staphylococcus aureus and the Streptococcus bacteria breeds overgrowth of dangerous skin bacteria that are “non-normal flora” and are resistant to many antibiotics. Also, fungus and other non-bacterial organisms find an easier nesting site when the normal flora is missing. 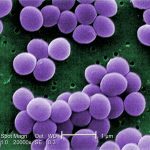 One pointed example is MRSA (Methacin-Resistant Staphylococcus aureus). MRSA is a unique classification of skin bacteria that has seen increased prevalence since antibacterial detergents were introduced. Sadly, marketers of antibacterial soaps and rubs have advertised the very opposite position stating their products are intended to reduce the MRSA risk (Hand Sanitizers Carry Unproven Claims to Prevent MRSA Infections, 2011). Any risk for infection, however, is present only when there is direct contact from uncovered, weeping sores of a person with MRSA. And, then, there must be a cut or open area on the skin to permit MRSA to transfer to the other person. As long as the wound is covered there is no transmission. This year the antibacterial handwashing debate finally reached fever pitch and recently reached its conclusion. The U.S. Food and Drug Administration (FDA) began to collect regulatory evidence on June 29, 2016, of over 19 antiseptic additives designed to kill ALL bacteria, including the normal flora, Staphylococcus aureus and the Streptococcus bacteria (FDA requests additional information to address data gaps for consumer hand sanitizers, 2016). The FDA, for the record, had started its research in the mid-1970’s. FDA official recommendation has remained consistent: “wash with plain soap and water” (Topical Antiseptic Products: Hand Sanitizers and Antibacterial Soaps, 2016). But, now, the FDA was prepared to step in and provide consumer protection. It specifically requested of each manufacturer any “scientific data to support the safety and effectiveness of certain active ingredients used in topical consumer antiseptic rubs (including hand sanitizers) marketed over-the-counter (OTC)” (FDA requests additional information to address data gaps for consumer hand sanitizers, 2016). Alcohol (60% or stronger) is known for its antiseptic effectiveness when soap and water are temporarily unavailable (Handwashing: Clean Hands Save Lives, 2016). Alcohol is marketed in the common forms: ethanol or ethyl alcohol) and isopropyl alcohol. However, the other 19 commonly marketed agents such as triclosan (the antibacterial used in liquid soaps) and triclocarban (antiseptic for bar soaps) have been banned by the FDA by a regulation announced, September 2, 2016, just before Labor Day (FDA issues final rule on safety and effectiveness of antibacterial soaps, 2016) and effective, September 6, 2016 (FDA … Topical Antimicrobial Drug Products for Over-the-Counter Human Use Rule, 2016). “Companies will no longer be able to market antibacterial washes with these ingredients because manufacturers did not demonstrate that the ingredients are both safe for long-term daily use and more effective than plain soap and water in preventing illness and the spread of certain infections” (FDA issues final rule on safety and effectiveness of antibacterial soaps, 2016). The FDA did make the accommodation for two unique conditions such as health care settings and the unavailability of “plain soap and water.” So, alcohol-based hand sanitizers and wipes have been exempted from the FDA final rulemaking (FDA issues final rule on safety and effectiveness of antibacterial soaps, 2016). The FDA has separated from the list three chemicals: benzalkonium chloride, benzethonium chloride and chloroxylenol (PCMX) to give manufacturers another year to come up with the required data to prove they are indeed safe and effective (FDA issues final rule on safety and effectiveness of antibacterial soaps, 2016). There is a reason for the delay. These antiseptics are usually blended with alcohol, which when used alone has been proven effective. Your immune system is constantly vigilant against foreign invasion. It uses many resources to combat new viruses, unwanted bacteria, and pesky fungi. Some people have turned to Transfer Factors (the active ingredient in mammalian mother’s colostrum) to boost their bodies’ natural immune system to support their immune system’s effectiveness… and claim to have success (What are transfer factors? 2016). Still, washing with simple soap and lots of water is the best action you can do to support your immune system! The soap loosens anything that is bound together and water dilutes it away. Now, you are probably asking… What is the long story, short? Wash with “plain soap and water” (Topical Antiseptic Products: Hand Sanitizers and Antibacterial Soaps, 2016).